Costa Rica is a surfer’s paradise for vacations and it is not just because there are great waves throughout the whole year. There is a vibrant surf culture on both oceans with a welcoming attitude, and the only thing you need is to keep a great one you too. If you are looking for a surf trip, you have a lot of options to choose from, different and exotic places to practice it are available. Costa Rica is well located, between two big water masses, The Pacific Ocean and the Caribbean Sea, some of the top beaches in Costa Rica can fit to your itinerary. In case you do not want to travel with your own board, you can rent at these beaches. All you need is a deposit and a bathing suit. You can also ask to your hotel for this service, because most of the hotels located on surfing beaches, rent boards. During your Costa Rica surf vacation, we recommend you to rent a car, so you can maximize your time and have your own schedules and discover more beaches and destinations, even if you have a short period to travel in Costa Rica. The Caribbean coast offers great massive waves. Salsa Brava beach is probably one of the best and it is considered the most aggressive wave in the whole country, but it is not always on. It is a big massive tube that will surely put your skills to the test. Only for the most experienced surfers. There are other gentle waves in the Caribbean side for less experienced surfers. Actually in Puerto Viejo Costa Rica there are more spots for surfers, but its waves usually are taller than in the other areas, so it is not the best place for beginners. Witch´s Rock Beach, it is located in the North Pacific side of the country, is a beautiful beach, not very touristy because its waves, that adjust to experienced surfers. There is no doubt that is a beautiful area for your vacation packages. On the North Pacific of Costa Rica, we have Tamarindo Beach which is a very popular destination and very touristy, there are a lot of hotels to choose, is a place to interact with locals and tourists, the main town has a lot of facilities. This is a beach where you can find some of the Costa Rica all-inclusive family resorts. Grande Beach, another beach of the North Pacific, less touristy than Tamarindo and a good spot for surfers, it is very close to Tamarindo, Flamingo and Langosta beaches, so you could stay in these places and drive to Grande beach to practice surf. There are some Surf Camps Costa Rica in the North Pacific, due to the quantity of beaches to practice it. Guiones Beach, Nosara, in the North of Guanacaste Costa Rica, you will find this amazing place, where a lot of surfers are staying. 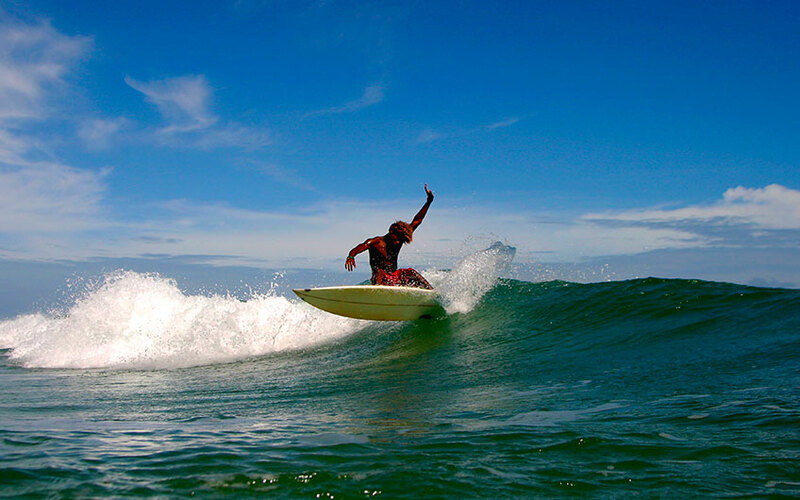 Nosara Costa Rica is a very secluded area, but Guiones constitutes one of the main surf destinations. Santa Teresa Beach, it is in the Nicoya Peninsula, close to Montezuma and Malpais, places with a very relax atmosphere, a beautiful beach with strong waves for surfers. Santa Teresa is also secluded and you need 4WD car to get there, because the road is not paved, but it is worth it to visit this during your Costa Rica surf vacation. Jacó instead is a great destination for both beginners and advanced surfers. Jacó has a gentle beach break, great to learn and in case you get the urge to ride larger ones, you can go to Playa Hermosa (just 15 minutes away). 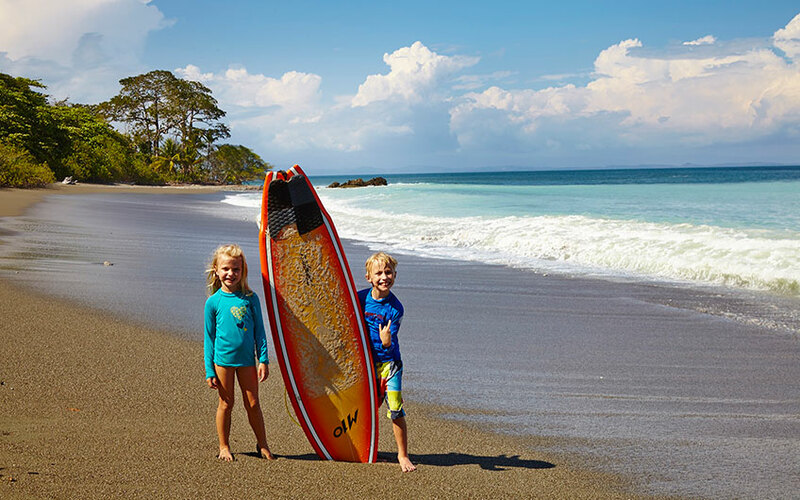 Hermosa Beach, on the Central Pacific, is a popular place for a family trip to Costa Rica, it is very close to Jacó beach, and this is a place known for surf competitions. One of the values that this beach offers is that it is close to San José International Airport. Pavones Beach is located on the South Pacific, it is a beautiful scenery to surf, a secluded and private beach, if you want to be off the beaten track during your surf trip. Some of these destinations are included in our Two Waves vacation package. It is an 8 day and 7 nights travel deal that takes you first to Playa Cocles in the Caribbean side during three nights, then to the Pacific coast, specifically in Jacó, for three nights too. The drive between the Caribbean and the Pacific takes 5 hours and some can say it is a lot but you will see that the waves are worth it. If you choose this vacation package, you will spend the first night in San José city, as it is recommendable in case you arrive late at night, so you can rest on the city, walk a little bit to discover Costa Rica’s capital and then the next day, you will start with your adventure. 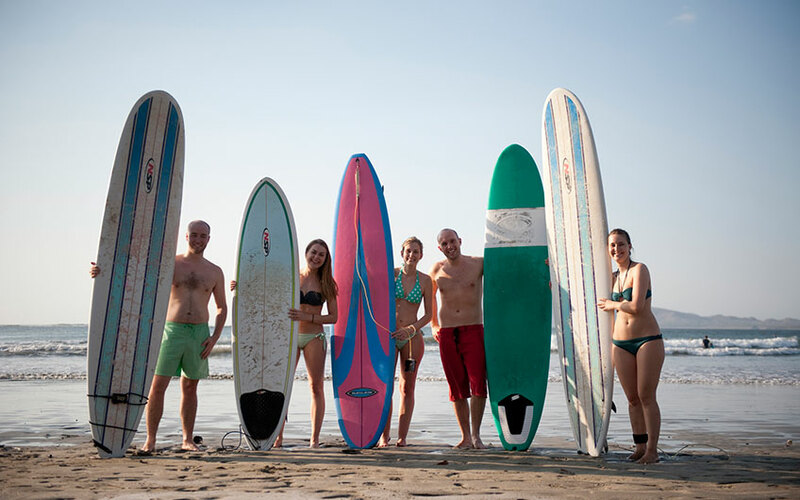 Other packages also offer some great surfing tours, combining them with other amazing Costa Rica attractions; please ask to our experts, for your vacation package in Costa Rica, we are able to provide you specifically, what you are looking for. Please leave us a comment if you liked this article!